Exciitation Table & Timing diagram By using the exciatation table the Flipflop inputs are derived and then buy use of K-Map the Boolean expressions for the input signals are developed. (refer Fig. 4.3.2). 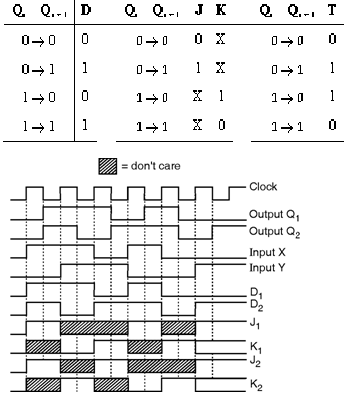 The Boolean expressions are then implemented using combinational circuits as shown in Figure below.